People have already become sick and tired of TV talk-shows where phony security analysts, economists and a host of other self-appointed experts try to give their “expert” views on sensitive matters. In addition to this, the talk-show hosts who are good-looking but mostly immature venture their opinion which lead the viewers to nowhere but inflict irreparable damage to vital national interests. Sometimes their opinions are music to the ears of people sitting across the border. Most disgusting are the views of some retired government functionaries who try to settle their score with their incumbent colleagues. In view of the circumstances where honest and dispassionate opinions are hard to come by, it is imperative that the readers and viewers help themselves and try to make analysis themselves to reach an independent conclusion. National budget is just around the corner and it is expected to affect the lives of all of us. Not only that economic prosperity of the country and well-being of the common man depends on the decisions taken through the budget, the quality of economic management is going to impact the national security. In order to become a budget analyst and be able to read through the figures presented by the government, the first step is to be familiar with various terms used to describe these figures. The budget is an estimate of receipts and expenditure of a future period, mostly the fiscal year, which will be authenticated by the government and approved by the National Assembly. The receipts are collected through tax revenues including direct and indirect taxes and from other sources. Major items of expenditure are debt servicing, which is not subject to the approval of National Assembly, defense spending, development and expenditure on administration of social, economic and internal security services. The difference between receipts and expenditure is called surplus and deficit depending on the nature of this difference. Measure proposed to meet the deficit are called deficit financing and include a whole range of such measure including contracting of debt from internal and external sources. Internal sources include borrowing from the State Bank, which is suicidal for the economy as it increased inflations and push prices up and slows down the rate of growth. The evidence suggests that internal borrowing is ten-times more expensive than external loans. Amount expended by a spending department/spending unit out of the funds allocated against a particular account head is called Actual Expenditure. Appropriation Accounts refer to a comparative statement of actual expenditure against respective budget allocations separately for each grant. These Accounts are published annually by Auditor- General’s office (through the provincial Accountants General/AGPR) and are prepared according to Function and Object classification. Annual Development Plan is a document issued by Planning Commission and includes yearly targets as given in Medium Term Development Framework (MTDF) 2005-10. The key sectors covered include Growth, Saving and Investment; Balance of Payments; Fiscal and Monetary Development; Poverty Reduction and Human Development. ADP Statement refers to a statement of on-going development schemes and those proposed to be launched by a provincial government in a fiscal year. The ADP is similar to the Public Sector Development program (PSDP) at the Federal level. Appropriation refers to an allocation of funds to a spending department. It is an Act of the Parliament that enables the department to spend money for specific purposes. A Budget is a government’s annual financial plan describing the proposed expenditures and the means of financing them. Budget Call Circular represents an official notice issued by Ministry of Finance (or Finance Department in case of a Province) to line ministries/departments inviting them to prepare and submit budget estimates for the following fiscal year. This also includes budget forms, instructions and guidelines for preparing budget estimates and calendar of activities leading to final presentation of budget in the Parliament. Budget Estimates are demands prepared for the next fiscal year submitted to the Parliament for approval. Capital Receipts in the context of government budget refer to receipts obtained from sources of finance other than Revenue. Examples include loans, advances, grants, etc. 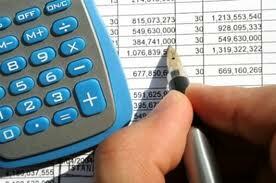 Capital Expenditure refers to expenditure met from capital receipt. For example, research and development activity met from loan obtained from domestic sources. This can be both Development and Non-Development (or Current) Expenditure. Charged Expenditure refers to certain expenditures met from the consolidated fund, which, under the Constitution, must be discussed, but are not submitted to the vote of the National or Provincial Assemblies. This may include expenditure on debt servicing, and expenditure incurred on maintenance of certain constitutional offices. Consolidated Fund is the operating account of the Government and is comprised of various financial resources, the balance of which is available for appropriation against the general operations of the Government. There are separate Consolidated Funds for Federal and each of the Provincial Governments. GDP is the standard measurement of the size of the economy. It represents the total value of goods and services produced during a fiscal year. Direct Tax is imposed directly on the income or capital of a person or organization, rather than as part of the price of goods or services. Tax on an individual’s income, referred to as Income Tax, is an example of a Direct Tax. Expenditure includes current and development expenditure on Revenue Account and current and development expenditure on Capital Account. The term ‘Expenditure’ as used in Annual Budget Statement and related documents usually covers Budget Estimates, Revised Estimates and Actual Expenditure. Non-development Expenditure relates to the on-going/operational costs of the government. Examples include Pay and Allowances of employees, operating expenditure, repair & maintenance, etc. Non-Development expenditure is also referred to as Current Expenditure. Public Account consists of those specific-purpose moneys for which Federal and Provincial Governments have a statutory or other obligation to account for, but which are not available for appropriation against the general operations of the Governments. For example, inflows into and disbursements from savings schemes launched by the government from time to time. Revenue Expenditure is met from revenue receipts. This can be both Development and Non-Development (or Current) Expenditure. Revenue Receipts represent receipts which are collected during the normal operations of the government and make up the largest proportion of government’s total receipts in a fiscal year. For example, income tax, sales tax, capital value tax, etc. collected by or on behalf of Central Board of Revenue are part of Revenue Receipts. Revised Estimates are budget estimates adjusted for any Supplementary grant, Surrenders or Re-appropriations are called Revised Estimates. Supplementary Budget represents additional funds under a particular object not provided in the original budget. Supplementary budget is prepared and approved during the year of execution, by the National Assembly. Voted Expenditure refers to that portion of expenditure on which the Assembly votes. Under the requirements of the Constitution, expenditure in the Annual Budget Statement is separately shown for “charged expenditures” and “voted expenditures”). After familiarizing yourself with budgetary terms, you now proceed to carry out an analysis of the forthcoming budget and can even identify the reasons of your country’s present economic problems. You should keep one thing in mind that Pakistan collects about 10% of its GDP from taxes which is one of the lowest. Major reason for this pathetic contribution by the richer segments of the society is existence of un-documented economy. See if (B) above is higher or lower than last year’s Net Available? a) Whether lower (B) has caused any decline in allocations for other general administration & development activities? b) Whether higher allocations have been made for interest / loan repayments? c) Whether allocations made for defense related spending are very high as compared with previous year? You can also have a look at threats to national security and the percentage increase in defense budget of India. d) Whether any rescheduling of foreign / domestic debt has been carried out during the year / earlier years? If yes, to what extent? e) Are the revenue collections targets appear to be achievable? f) How much of the expenditure is made out of government receipts and what is the quantum of public debt? What are significant items in Supplementary Budget Schedules? a) What is budget deficit / surplus estimated to be? b) What is current year’s budget deficit likely to be? c) Is it a growth-led budget? d) Consider government’s ability to collect proposed taxes, manage budget deficit, honor debt repayments, maintain exchange rate and control interest rates in the wake of likely higher trade deficit. e) What happened to Privatization Proceeds collected during the year? Where were they utilized? f) Are there significant ‘Lump Provisions’ / un-explained expenditure in the Budget Books? g) Is the debt-servicing or debt-repayment position improving or deteriorating? h) Are investment and growth rates rising or falling? i) What measures have been taken to reduce poverty and increase employment? j) Are poverty and unemployment rates rising or falling? k) Are socio-economic indicators improving or deteriorating? l) What is the impact of tax proposals likely to be? m) What is current year’s budget performance vis-à-vis the next year’s budget proposals? n) See if SBP’s treasury / market operations have helped maintaining a stable interest rate in the country? o) Are government’s savings schemes providing adequate return to pensioners / account holders? p) Has government borrowed from banking sector in excess of its targets? q) What has the performance of Relief Funds been? Where has the money been spent? r) Consider actual spending versus budget allocations for key sectors. Good luck to your newly acquired analytical skills but you will never be invited for TV talk-shows. Growing investments in war machines make the world a far more dangerous place…. The new generation suicide bombers…..